Becoming a CCIE Certified Professional is the ultimate dream of any networking practitioner. 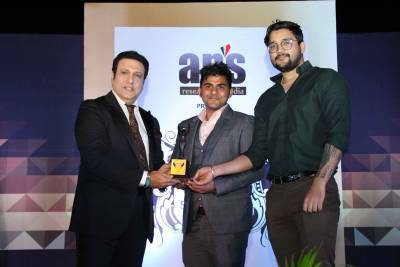 But to achieve that dream one has to study hard, get as much as practical exposure possible and should get trained by world class trainers at labs which are fully equipped with latest and real devices. 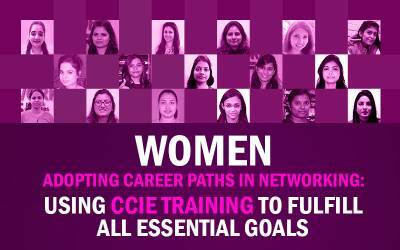 At Network Bulls we focus on all aspects which are must to make you a CCIE. Our CCIE results in 2018 are testimony of the same. In this blog post we will try to look at reasons of - How Network Bulls Produced Record Breaking CCIE Results in 2018? Network Bulls is the only CCIE training institute worldwide to deliver over 80% first attempt CCIE Pass rate. Produced highest number of CCIE’s in 57xxx, 58xxx and 59xxx series. Only institute to have multiple CCIE Security V5 racks in-house. First Institute in India to produce CCIE Security V5 engineers. 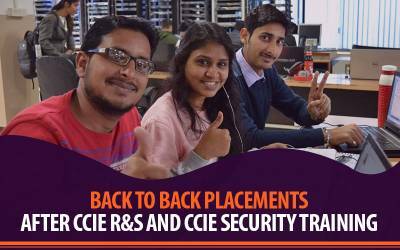 Only institute in India to offer unlimited CCIE Rack Access to students. India’s only institute with in-house Lab practical workbooks. 24x7 Lab facility and CCIE racks availability. Recommended read: How can CCIE Data Center Certification give wings to current Network Engineers of India? At Network Bulls, you don’t need to wait for rack slots or look for online rack rental facilities to practice. As we have in-house CCIE Racks available 24x7. Network Bulls with the World’s largest Cisco CCIE Training infrastructure offers CCIE training with dedicated racks. This is one of the biggest reason of our sky touching CCIE pass rates and students pass CCIE in first attempt. Network Bulls has world’s one of the biggest and best team of CCIE Certified trainers. World class trainers exactly know how to prepare for CCIE exams and how pass CCIE exams. 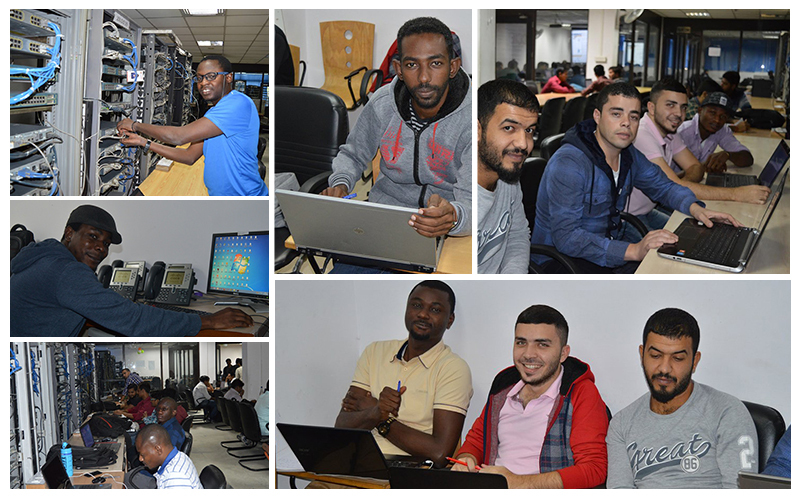 At Network Bulls you will not only get trained from CCIE Certified trainers throughout your training duration, but you also get a CCIE Certified dedicated lab instructor in our CCIE lab to help you pass your CCIE Lab exam in the very 1st attempt. He will help you on every step and make you confident enough to pass your lab exam. Unlike some of the other CCIE training institutes of India who just give real lab exam dumps to students to cram, Network Bulls train students with detailed Cisco training on live devices throughout the journey. Our CCIE training consists of 3 months of in-depth technological training after which students are prepared for lab exam. Learning environment of our lab is so encouraging that whenever you enter our lab, you will see hundreds of students practicing on live devices. It motivates you to work even harder to achieve your career goals. 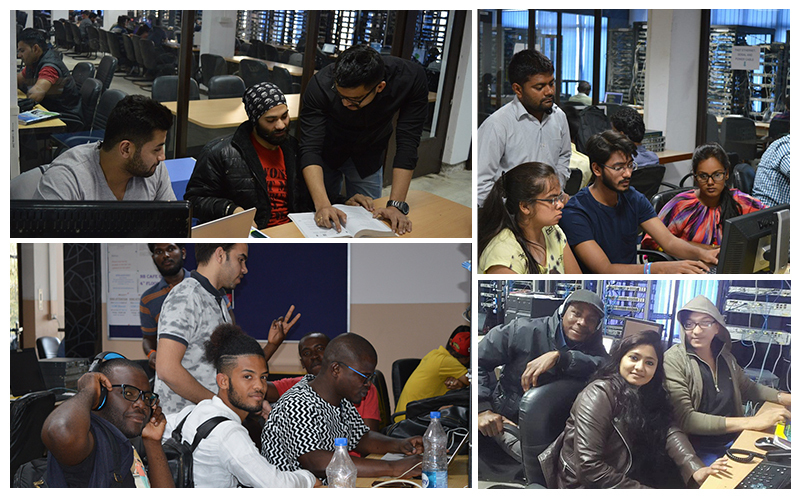 You will see students from different countries, different academic backgrounds and experiences, practicing together to master Cisco technologies. 24x7 open and equipped with lab instructors and senior students, NB labs are such a great platform where any student can practice for long hours and make their careers. Above are the major reasons of huge CCIE success in 2018. 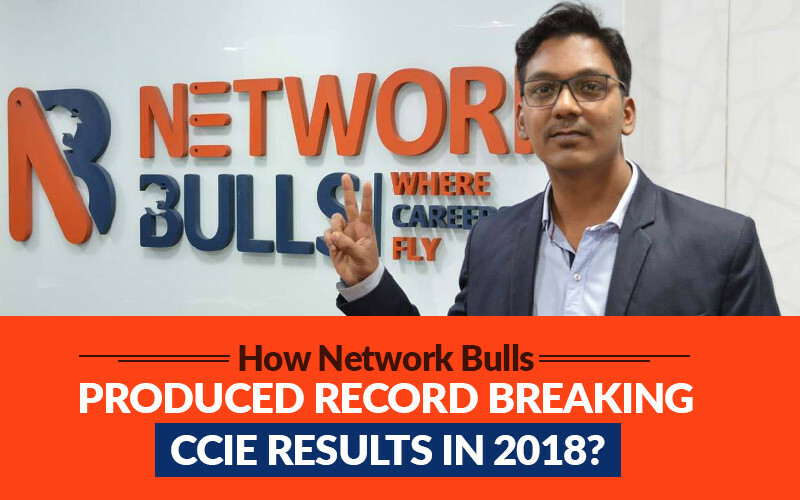 Download PDF How Network Bulls Produced Record Breaking CCIE Results in 2018? With over 80% of 1st attempt CCIE pass rate below is the list of CCIE Results of 2018 till now. 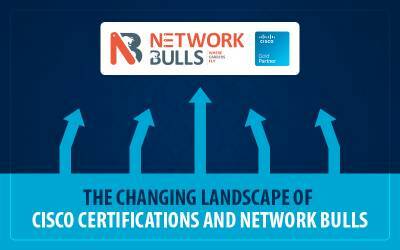 To know more about Network Bulls' Training Courses Call Us on our toll-free number 1800-313-2545 or mail us at admin@networkbulls.com. If you are from out of India then contact us on +91-8745885377.